When it comes to a gas and water plumbing in your home, it’s always important to ensure these are maintained with regularity. Sometimes, even with regular maintenance and care, these plumbing installations may spring leaks. We at King and Sons Plumbing Melbourne are one of the leading companies in this industry and provide efficient and prompt Melbourne leak detection gas and water services to commercial as well as residential customers. All of these are signs of a potential and gas leak. Gas is extremely combustible and it poses very serious and risks. If you suspect a gas leak, quickly move to a safe location and call the 24/7 emergency gas leak detection experts at King and Sons Plumbing Melbourne. We will respond promptly, and our expert gas fitters will confirm the leak and identify its source. They will provide you with a quick upfront quote before they undertake the repairs. 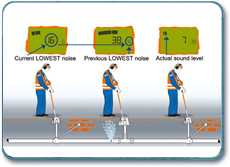 We provide 24/7 emergency gas leak detection and repair solutions to commercial and residential clients. Since a large number of plumbing installations are either concealed in walls or under the ground, it can sometimes become very difficult to detect leaking pipes. 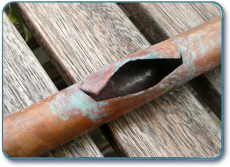 Leaks can crop up in concealed pipe installations giving rise to dampness or cracking in the walls. If you are receiving higher than standard water bills or if you find that the water pressure in your home is lower than usual, these could be an indication of a water leak. One of the simplest ways to check whether there are any leaking pipes on your property is to turn-off all the taps and watch whether your water meter moves after a few minutes. If yes, it’s an indication that there is some leakage on your property and it needs to be fixed without delay. We provide 24/7 emergency water leak detection and repair solutions and will be at your location within the shortest possible time. We use the latest equipment and technology such as thermal imaging, acoustic noise detection, pipe location and dye testing, in our work and ensure that the repairs are carried out efficiently.